BIGGEST PERCH IN THE WORLD LIVE HERE! That's right, the biggest Perch in the world live in Lake Cascade. Ice fishing is hot in the wintertime. 2 to 2.5-pound perch are very common We see several 15" and over every week. 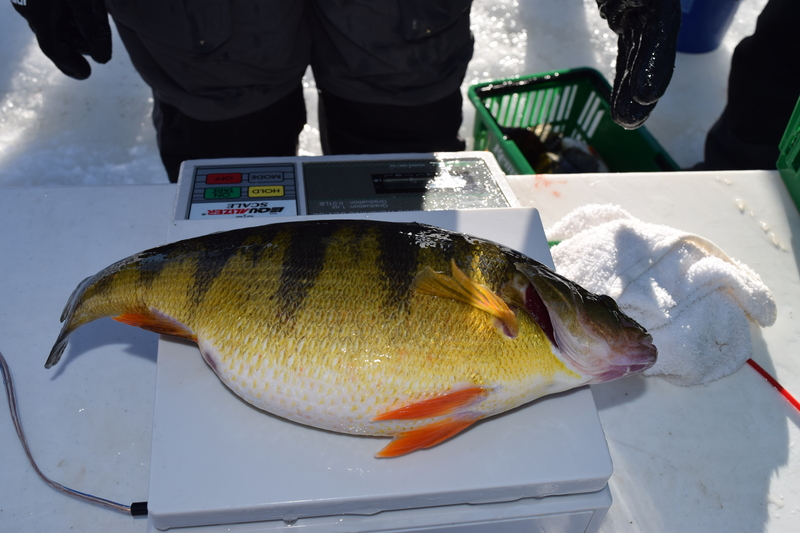 Legitimate world record caliber Perch are caught on this lake weekly. ...mmmm,mmmm and they taste so good. We have an indoor DIY fish cleaning and processing room in the back of the lodge for wintertime use. It's open to all guests. Looking for accommodations for large groups? Traveling with kids and family and want to stay together? We've got you covered! 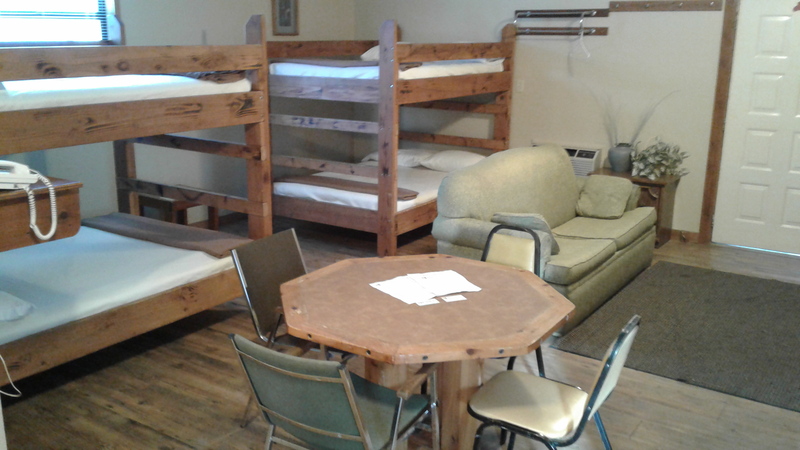 We have bunkhouse style suites that will accommodate 8 or more people, we have double beds, bunk beds, rooms with kitchenettes, and rooms with separate bedrooms. We also have all the standard rooms such as Kings, Doubles, Single queens, etc....Have a large group? Give us a call. Lodge and facilities. Pool Tables, Air Hockey, Foosball, etc! Large common area in Lodge with FREE pool tables, sauna, big screen TV, foosball, air hockey, etc.. Oversize parking lot for trucks, trailers, RV's, boats, snowmobiles. Large area with fire pit, barbecues, and horseshoe pits. During winter months we have an indoor area to clean your fish! 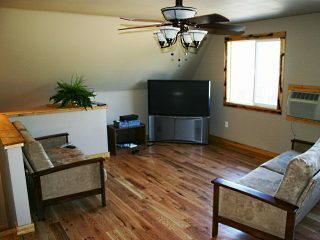 Here at Birch Glen Lodge & Motel we pride ourself on having extremely clean and comfortable rooms, a relaxing lodge with accommodations that range from pool tables, sitting areas, fish cleaning stations (in the winter), large screen TV, card tables, horseshoes, corn hole, and just a generally comfortable and cozy atmosphere. 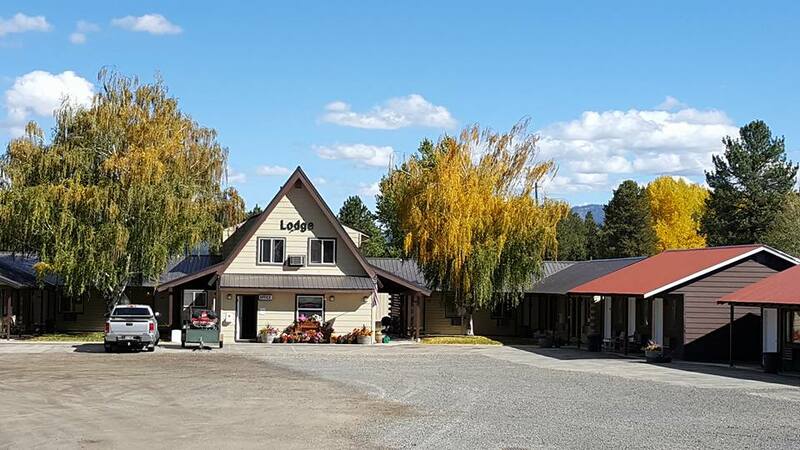 Outside we offer ample parking for even the biggest rigs and campers, parking for your snowmobile trailers, etc.... A barbecue area and horseshoe pit is located near the lodge and includes a large grass area for family gatherings and outdoor events. The large outdoor and indoor lodge facilities, 27 remodeled rooms and the additional bathroom facilities make Birch Glen an excellent choice for group events, family reunions, and receptions. Depending on the size of the group and the length of stay a discount may be available. Quality facilities at affordable and fair prices are what set us apart from other retreat centers. We are always willing to work with our customers in order to earn your return business and hope that you will refer us to others. We are snuggled in the picturesque mountains north of Boise right next to Kelly’s Whitewater Park. You can choose between peace & quiet or exploring the wide range of activities at your doorstep. For more information or for reservations, please call us at 208-382-4238.